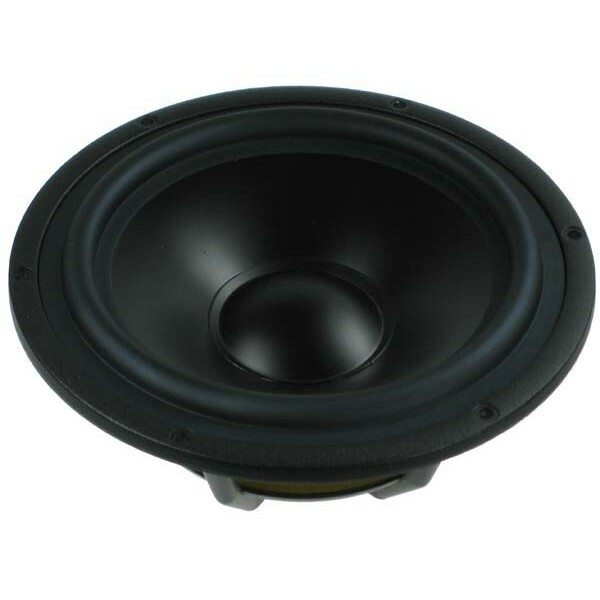 SEAS H9945 SP22R is a passive radiator intended for use as an alternative to the port in a bass reflex cabinet, together with an active woofer of similar size or smaller. It is equipped with an M4 screw to permit easy attachment of more added mass for other applications. SEAS H9945 SP22R is a passive radiator intended for use as an alternative to the port in a bass reflex cabinet, together with an active woofer of similar size or smaller.. In many applications the traditional bass reflex port may produce high speed air noise or even have poor effect due to a small port area or a large port length. In such cases, a passive radiator may bring about an improvement. The Datasheet chart shows the mass which has to be added to the cone of the passive radiator in order to obtain the desired Helmholtz resonance frequency in a given cabinet volume. For optimum performance, the passive radiator should be mounted vertically (with horizontal cone axis) This is especially important when a significant additional mass is used.